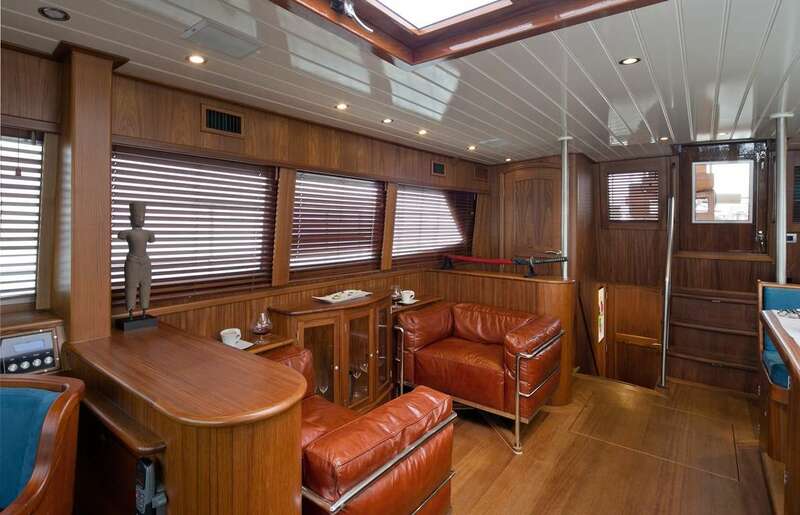 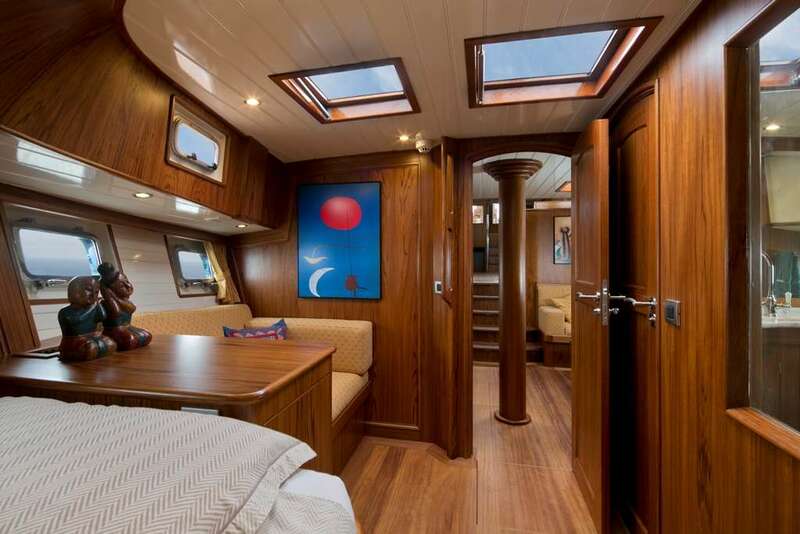 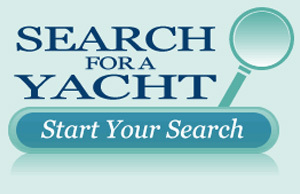 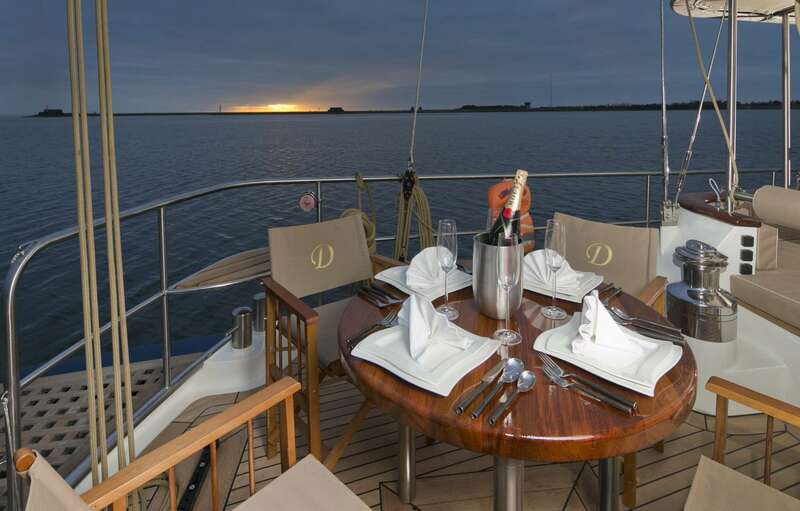 In the evening you enjoy alfresco dining on the aft deck complimented by fine wines. 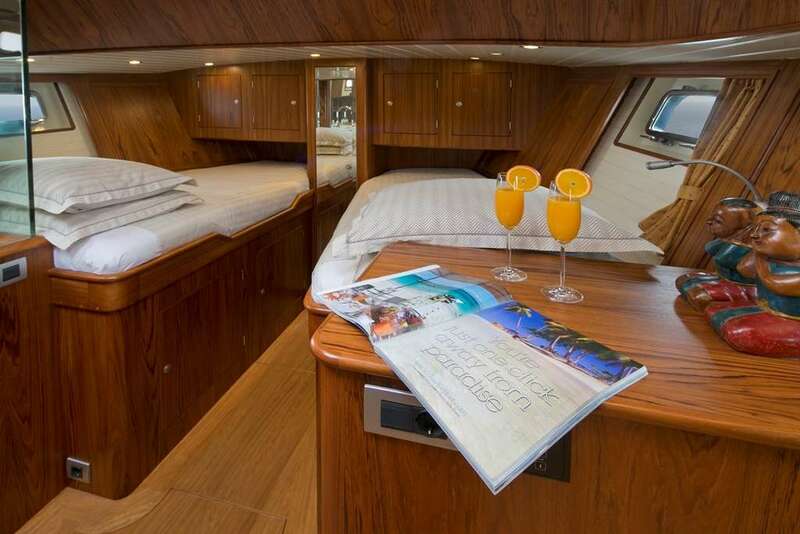 Aren't you lucky...tomorrow is another day aboard Sailing Yacht DOMICIL! 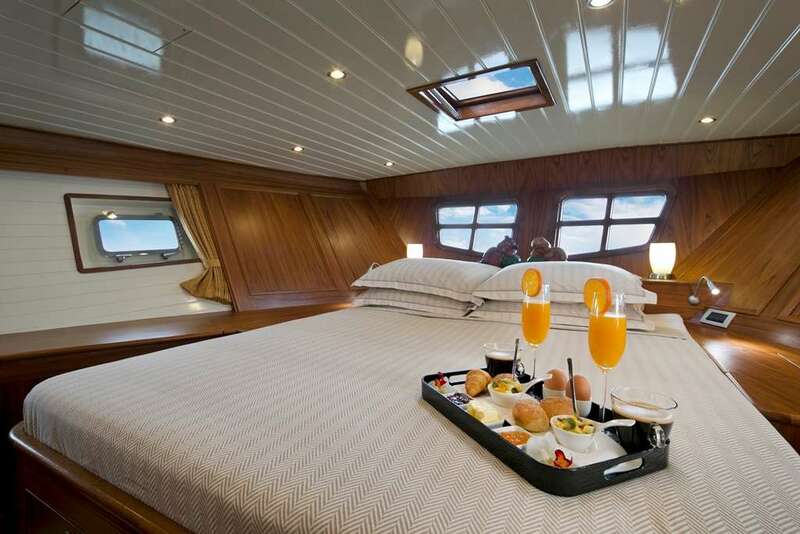 DOMICIL accommodates 2 guests in extreme luxury and comfort. 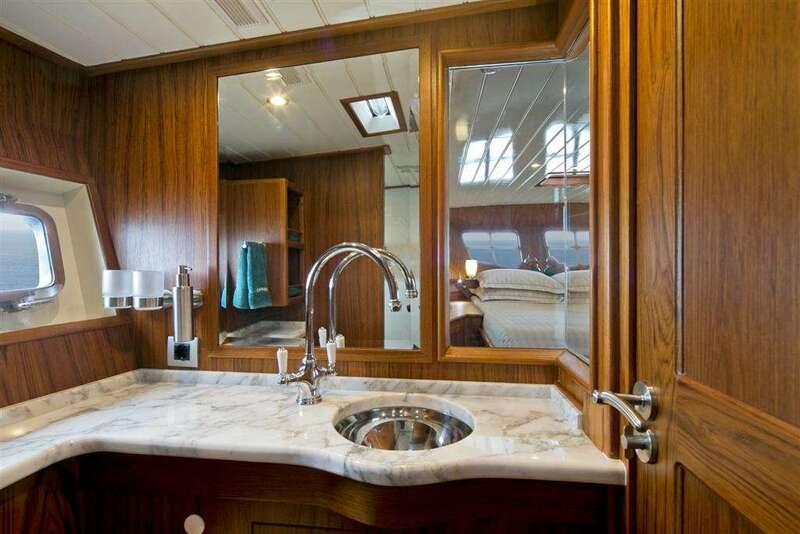 The Master Cabin is located aft and ha a queen size walk-around bed, Private ensuite bath with marble vanity, stall shower and electric toilet.